One of the focuses that the company has is that they restore old hardware back to their original appearances. The reasoning behind this is because of how the company is willing to respect the historical integrity found within old buildings and the like, as creating modern pieces for their repairs ruins what makes these places special for the landmarks. The kind of reproduction hardware they have is not only based on what the original versions were like, but they were also based on the same craftsmanship used in the past, almost up to a century as well. Charleston Hardware has a Large Selection of Antique Hardware Items That They Can Repair. Like a lot of product restorers, hardware workers are expected to have a large amount of knowledge with understanding what each antique hardware is like, but Charleston Hardware knows the most with old items. Like the old hardware used for the houses and buildings made in the past, the recreations that Charleston Hardware made are hand cast in a variety of metals, including bronze, brass, and iron; on top of that, they also have every etched detail and normal texture that the old versions have, all that can be done to make the hardware look as accurate to the original versions as they can be. 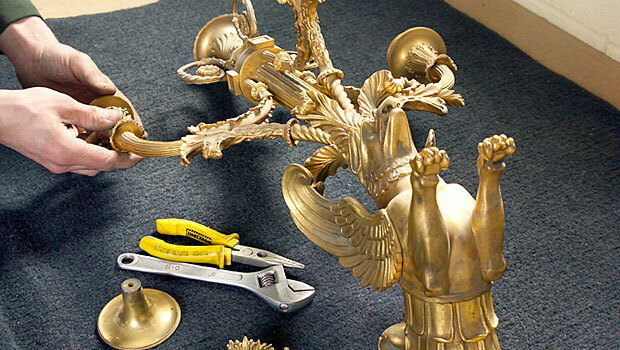 Many restorers hardware services send out to do the job have been working everywhere, but Charleston is famous for working on landmarks such as the U.S. Custom House, the Rutherford B. Hayes Mansion, and the Crescent Hotel.